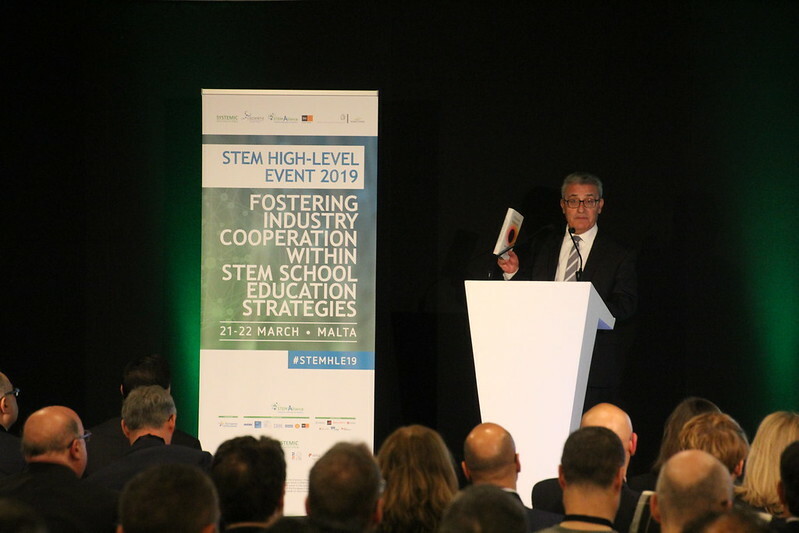 STEM High-Level Event 2019 - Fostering Industry Cooperation within STEM School Education Strategies is a conference that will take place on 21-22 March in Malta. The event will be co-organised by STEM Alliance, SYSTEMIC and SCIENTIX with special support from Transport Malta, Ministry for Education and Employment Malta and Science Centre Pembroke Malta. The conference brings together key stakeholders from industry, education and national & European policy-makers to promote the European STEM Education agenda at a political level. Provide insights and networking opportunities to Ministries of Education, industries & other STEM actors. Support the development of STEM education actions at European level for higher sustainable growth and more innovation. Share innovative practices regarding STEM education developments, and promote STEM careers to create a future work force. The award ceremony for the lucky winners of the 'Diversity in STEM' campaign took place during the event. Find out more about the campaign below! Ever wondered why STEM education and careers are not as diverse as they could be? Interested in finding out how we can help address STEM stereotypes? Diversity is an essential element for STEM innovation! For this reason, STEM Alliance invited schools, teachers, career counsellors, companies and anyone else interested in STEM education to take part in the ‘Diversity in STEM' campaign between 24 September and 30 November 2018 with various activities taking place and resources launched. Check the winners by clicking on the banner below! The STEM Alliance brings together industries, Ministries of Education and education stakeholders to promote Science, Technology, Engineering and Mathematics education and careers to young Europeans and address anticipated future skills gaps within the European Union. The STEM Alliance builds on the success of the EU-funded inGenious initiative (2011-2014) to increase the links between STEM education and careers, by involving schools throughout Europe. Scientix, the Community for Science Education in Europe, promotes and supports a Europe-wide collaboration among STEM (science, technology, engineering and maths) teachers, education researchers, policymakers and other STEM education professionals. Scientix has been running since 2010 organizing teacher-training activities, dissemination conferences and events, and supporting the exchange of knowledge and experiences in STEM Education via its portal, publications and events. SYSTEMIC is a strategic partnership project funded under KA2 of the Erasmus+ programme. The overall objective of the SYSTEMIC project ("Say Yes to STEM In the Classroom") is to increase young Europeans' interest in maths, science, engineering and technology education and careers and to provide teachers with the appropriate pedagogical tools to teach STEM topics differently and in a more attractive way.